This post was written by Nicolassa R., a sixth-grade scholar at Democracy Prep Endurance Middle School. 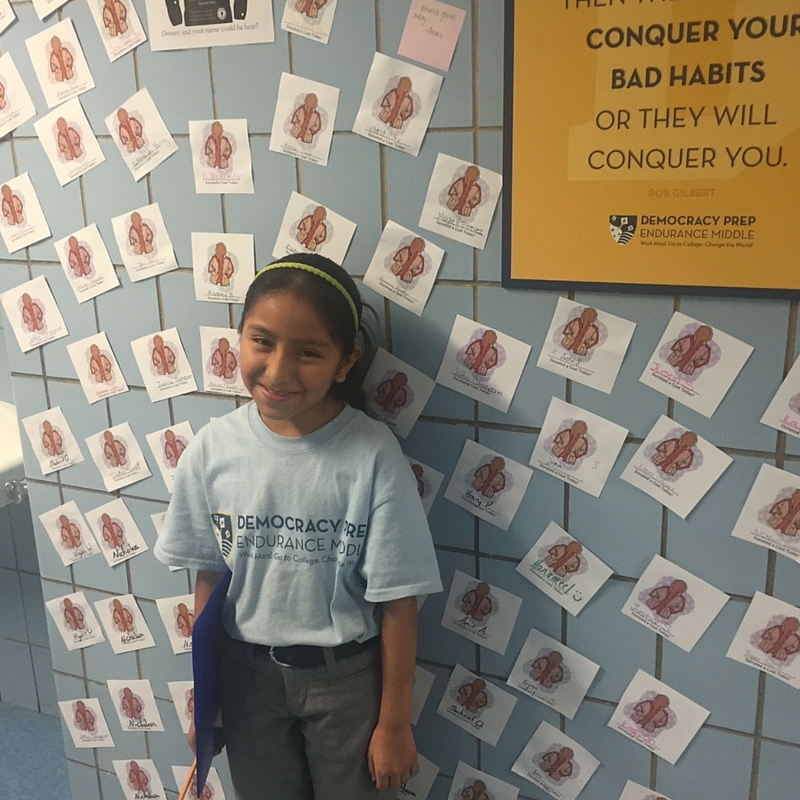 Her classmates have nicknamed her the “Coat Donation Queen” because of her generosity! My family has a tradition. Every year after the snow has finally melted and the longer days suggest that the beginning of Spring is near, we add our coats, mittens, gloves, and scarfs to our “Winter Stuff Closet” where we keep all of our gear until the seasons change again. We picked out what we needed, and then stuffed coats in a variety of colors, styles, and sizes into bags. I counted all of the coats we gathered, and I was surprised that we packed away 18 coats to donate! My parents helped me drop off all of the coats at my school where they were picked up by Unidos Si Se Puede (United, Yes We Can), a non-profit organization that was started by Elva Guevara, the mom of two Harlem Prep Elementary students. The organization has collected more than 250 winter items from the DPE and HPE communities. In addition to donating clothes and food to people living on the streets of Harlem, Unidos Si Se Puede also collects backpacks, clothes, and toys to send to the Dominican Republic. I was proud to donate 18 of the 26 coats that my homeroom collected. I hope that my donation will help people around the world (or at least in New York!) who are less fortunate stay warm when it is windy and cold.